CarGurus has 20,686 nationwide 5 Series listings starting at $1,500. In 2011, BMW decided to tweak its 5 Series sedan lineup to push posh over performance. The 2015 offerings of the distinctive 5 Series lineup again reflect Bimmer’s “told-you-so” attitude. This 5-seat midsize quasi-sports sedan still scoots with the best of ‘em and handles almost as well as the previous generations, but its deceptively tame profile appeals to those who want to maintain their laid-back, even respectable outer shell right up until the light turns green. Again the 5 Series comes in 4 iterations that reflect various powerplant offerings. The 528i remains the entry-level trim, followed in ascending order of plush and potency by the 535i, the turbodiesel-powered 535d and the flagship 550i. All trims remain delivered with standard rear-wheel drive (RWD), while each version can be driven off the dealer’s snow-covered lot toting available full-time all-wheel drive (AWD), aka xDrive in Bimmer-land. Oh, and lest we forget, there’s also a recently introduced 5 Series Gran Turismo hatchback variant, as well as the further up-featured M5 sedan to further enhance your 5 Series experience, but these versions are covered in separate overviews. A few subtle upgrades for the upcoming year's 5 Series include a standard sport steering wheel and LED front fog/driving lights for each and every trim, as well as a couple of enhancements to the available (550i only) Executive Package. Oh, and the once-optional Modern Line Package has been discontinued for the 2015 model year. At the heart of the 2015 5 Series are the 4 powerplant offerings that have traditionally distinguished various trims. The base 528i, for instance, returns toting a 240-hp 2.0-liter turbocharged inline 4-cylinder (I4) engine mated to the standard 8-speed shiftable automatic transmission. Look for 260 lb-ft of torque from this forced-air 4-banger, with mileage estimates running 23 mpg city/34 highway in RWD editions and 22/33 in xDrive-equipped versions. The 535i returns boasting a 3.0-liter turbocharged inline 6-cylinder (I6) mill that can be coupled with either the standard 8-speed shiftable automatic or an available 6-speed manual transmission, with said 6-speed offered at no extra cost. Expect 300 hp and 300 lb-ft of torque from the I6 with EPA estimates of 20/31 in automatic-toting RWD variants, 20/30 in RWD versions packing the stick shift and 20/29 with the automatic-only xDrive edition. The 535d offers hefty torque and wallet-friendly mileage through its returning 3.0-liter turbodiesel I6 engine and the standard 8-speed shiftable automatic. No manual transmission option is offered with the diesel, but you do get 255 hp and a heady 413 lb-ft of torque. Meantime, the EPA rates the turbodiesel I6 at a user-friendly 26/38 in RWD variations and 26/37 in xDrive garb. For true pavement-pounding grunt, the 5 Series 550i features a 445-hp twin-turbocharged V8 powerplant that boasts a sport-tweaked version of the 8-speed shiftable automatic to manage its awesome 480 lb-ft of torque. EPA mileage numbers with this engine return at an estimated 17/25 in RWD versions and 16/25 in xDrive editions. Again for 2015, all engines boast automatic engine stop/start technology for some added fuel savings, although a number of reviewers note that the system needs a little work to make it less intrusive. Additionally, all trims offer Driving Dynamics Control featuring driver-selectable adjustments for throttle, suspension and transmission response to suit the mood of the moment. Posh, you ask? Well, select 5 Series for the upcoming model year will sport 17- or 18-inch alloy wheels, a power sunroof, LED accent lighting, heated power-adjustable and auto-dimming outside mirrors, as well as power-adjustable front seats and full power accessories. Again for 2015, leatherette upholstery is standard in lower trims, with the 550i offering standard leather-upholstered seats. Cruise control and power-adjustable telescoping tilt-wheel steering also adorn each 5 Series trim once again for 2015, as do memory for driver's settings and dual-zone auto climate control. Standard techno goodies include Bimmer’s touted iDrive Bluetooth-integrated infotainment system, which boasts a 10.5-inch display interfaced with standard hard-drive-based navigation, as well as Smartphone apps and WiFi (via BMW Online) and a single-CD player featuring 10 speakers, HD Radio and a USB connection. The 550i, meanwhile, adds such bells and whistles as a power-opening trunk (with foot-pass under-body sensor), a rear-view camera, front and rear parking sensors, keyless entry and ignition, and steering-wheel-mounted paddle shifters to the list of standard features. Options, many of which are in package form and remain offered with select trims, include soft-closing doors, satellite radio, heated front and rear seats, a heated steering wheel, a head-up display, a 16-speaker Harman Kardon premium audio system or upgraded Bang and Olufsen system. The available Luxury and M Sport packages, meanwhile, toss in upgraded and upsized wheels, upgraded leather and genuine wood cabin accents, as well as an aerodynamic body kit and an M steering wheel. The Dynamic Handling Package additionally offers adaptive suspension dampers and active stabilizer bars. Standalone options, finally, include adaptive cruise control, Parking Assistant parallel parking assist, infrared night-vision technology, 4-zone auto climate control and rear-seat DVD entertainment. Safety-wise, expect standard 4-wheel antilock braking (ABS), front and rear head airbags, front side-mounted airbags and front head restraint whiplash protection to return aboard all 5 Series trims for 2015. Also returning lineup-wide are standard daytime running lights, LED front fog/driving lights, adaptive high-intensity-discharge (HID) headlights and turn-signal-integrated mirrors, and BMW Assist emergency communications and alerts. Of course a post-collision safety system and a remote antitheft alarm come standard once again, while the available Driver Assistance Plus Package adds in top- and side-view cameras, blind-spot warnings, lane-departure alerts and forward-collision mitigation. 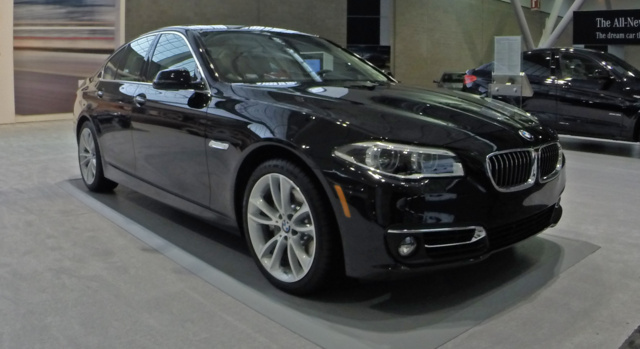 What's your take on the 2015 BMW 5 Series? Users ranked 2015 BMW 5 Series against other cars which they drove/owned. Each ranking was based on 9 categories. Here is the summary of top rankings. 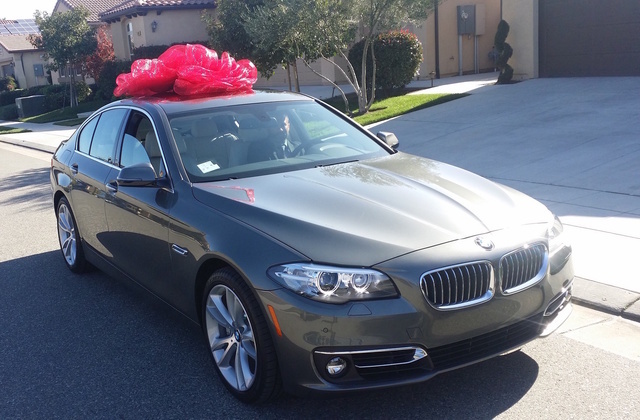 Have you driven a 2015 BMW 5 Series? How can activate the digital compass on my BMW 528i? How do I reset oil service indicator if it says reset impossible? 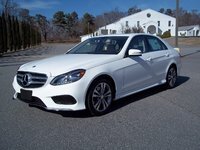 Want to purchase 2015 BMW 5 series, car is listed as CPO, dealer wants me to pay $995. for certification. If it is already listed as CPO why am I paying for certification? Please explain the difference between a 528 and 535. What does the initials I and X stand for?